Advanced IP Networking for Broadcast Engineers is an intensive instructor led day long course. It is assumed that student attendees have experienced the “IP Networking for Broadcast Engineers” course or webinar series, or have a solid understanding of IP Networking fundamentals. This course will focus on deeper understanding and application of the fundamentals in real-world IP networking environment. Emphasis will be placed upon designing an IPv4 Addressing plan, IP Subnetting, Ethernet Switching with VLAN implementation, IP Routing, Network Security, and transport of audio and video content in an IP network infrastructure. Additional topics will include an overview of related content found on the Society of Broadcast Engineers CBNE examination including a practical exercise designed to help prepare for the CBNE exam essay question(s). In order to take the certification exam on Saturday, June 28th you must fill out the CBNE or CBNT application and mail, email, or fax it to Megan Clappe, Certification Director by June 13th. This seminar is designed to be a tool to prepare you for the CBNE exam not CBNT. However, both exams will be available to take on Saturday. A big “thank you” to SBE Chapter 47 for hosting this workshop and certification exam opportunity. Certification Exam – Saturday, June 28th, 8:30 a.m.
Register here. Includes a light breakfast and lunch, along with a complete set of class notes, class exercises and reference materials. Wayne Pecena, CPBE, 8-VSB, AMD, DRB, CBNE, is the Assistant Director of Educational Broadcast Services in the Office of Information Technology at Texas A&M University. In this position, he serves as the Director of Engineering of TTVN: The Enterprise Video conference and Data Network serving the Texas A&M University System and Public Broadcast stations KAMU-TV and KAMU-FM serving the Brazos Valley area. 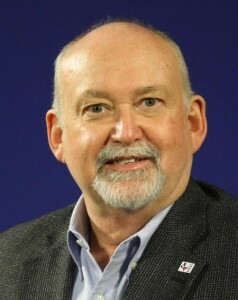 He is responsible for leading technology implementation for the enterprise network of the Texas A&M University System, supporting over 150 IP data locations and over 350 video conference sites within Texas and internationally.